The partnership brings together strength in shipping, availability of vessels, efficiency of loading/unloading and the advantage of combining agroproducts and minerals on one and the same vessel. Cargill controls as many as 250 vessels worldwide at any one time and the total volume shipped by the company is about 150m tonnes per year. 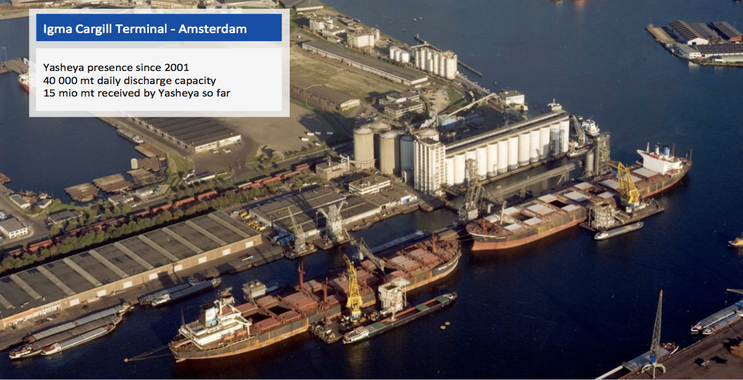 IGMA’s daily discharge capacity in Amsterdam totals 40,000 tonnes for any type of vessel up to Capesize. To Amsterdam specifically, Cargill/IGMA handle about 9m tpa. 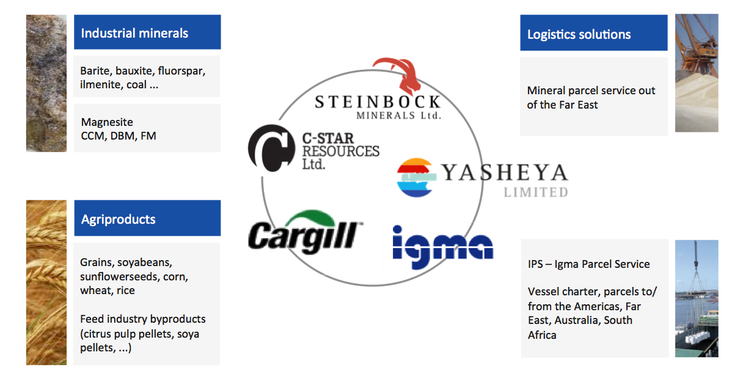 The arrangement with Yasheya is mutually beneficial as it also allows Cargill to fill up any empty hold space on its vessels bound for Europe from Asia. Yasheya and IGMA also provide storage in Amsterdam to further add value to the parcel combination and to offer additional services.